Being a YouTube Partner has many benefits. 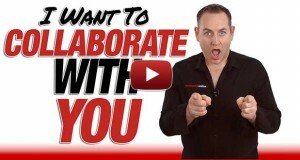 You can make money from ads on your videos, you can have Custom Thumbnails, you can have External Links through Annotations… so it's worth becoming a YouTube Partner. YouTube want you as a “Partner” (and I put that in “” for a reason which I will get to later) because it allows you to monetize your videos. And when you monetize, THEY MONETIZE! Before you can become a YouTube Partner, your account has to be more than 30 days old and has to be in “good standing”. That means that you're uploading content that is belonged to you and not someone else. One thing I do want to clarify, which I alluded to above, is the fact that becoming a Partner today is very different than it was a few years ago. Before, YouTube invited you to become a partner when you showed that you uploaded good content to your Channel regularly. In fact, one Channel I had in the Martial Arts niche was invited to become a Partner after only 2 videos and a few hundred views! So it didn't take that much to be invited. They could see that it was going to be different and wanted to have a Partner in that space. But for most people, it wasn't that easy. Today, however, anyone can really become a partner which gives you a lot of extra functionality to their Channel, which is what I'm giving you here. The whole process is outlined in this video where I show you step by step what to do, and how to do it. To begin with, you'll need to Verify your account. This is done by Google sending you a voice message to your phone or an SMS to your mobile. Once you've entered in the 6 digit code they give you, your account is Verified. When you look at your Channel Setting screen again, you'll now see that there are more green lights on there. You have now more functionality on your site. The next thing to do is to enable Monetization on your Channel. Click on the Enable button, agree to their Terms & Conditions and you'r good to go. 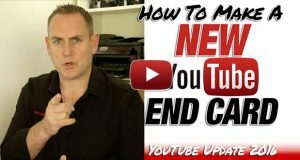 You'll now have Custom Thumbnails (if your Channel is more than 30 days old) as well as External Links in Annotations and you can make money from advertising on your videos. If you would really like to become a “Full” YouTube Partner, then you'll need to join one of the Partner Networks. Here is a list of YouTube Partner Networks that you can apply to if you want to have the full customised Channel. There may not be any benefit to this in the near future with YouTube's One Channel layout coming into effect. All channels will probably be forced to more over eventually, so applying for Full Partnership may only last a short while. I will be revealing how to take advantage of the new One Channel layout in an upcoming article, so watch out for that. Thanks for the video. I was very hazy about this and am glad of the clarification. First how do you create these great looking videos, what special software program are you using? Second, I have attempted to setup YouTube Channels for the few clients with very little success … is this permissible for You Tube? If not what is the correct way? Third, what is your “Quick Screen Cash Profits”? and how can it help myself and others? Fourth, I am using Windows 8 and most of the videos are not showing up, I get audio, but not video? Windows 8 is not for the faint at heart is there a better OS? Awaiting your reply and thanks for the useful information. Firstly, yes, you most definitely can set up YouTube Channels for clients. I do it, and many offline and online marketers do it for clients too. Since I don’t know what you’re doing or what you’re trying to achieve, but there is a way to set up your Channel so it’s optimized for the keywords you’re looking to rank for. I will be showing you how to do that very soon. As for the great looking videos – and thanks for the compliment, it’s nice to know they’re great looking – it’s more to do with the camera and the studio setup rather than the software used to edit them. It’s important to have a good base to work from, with quality lighting and a good camera that will do what you want it to do. As with anything, if it’s not great to begin with, it’s going to be difficult to make it great afterwards. I do have a training scheduled to show you how I set up everything for myself and clients, giving you different options depending on your budget. So look out for that soon. 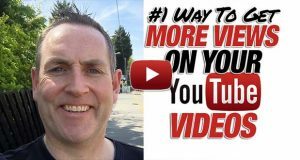 Quick ScreenCast Profits is a training on how to create videos quickly that are “Google Slap-Proof” so that they will rank now, and also in years to come. As with most things online, marketers look for the easiest route to get things done, and creating videos has been no different. Videos have been created that are little more than a bit of music with some words and a link. These videos provide no content or value and Google will SLAP them so they won’t rank any more. Whereas Quick ScreenCast Profits videos will continue to rank as they’ve been optimized for their keywords and they give the content that Google is looking for. At the moment it’s being updated to incorporate new changes within YouTube which makes things easier for get videos done. I will be letting you know when it’s available again. As for seeing the videos, are you talking about you’re not able to see the videos on my website? If so, then it’s not a Windows 8 issue, it’s a Flash and Browser issue. Whichever browser you are using doesn’t have Adobe Flash installed properly, and this is why you can’t see the videos. The easiest thing to do is to use a different browser. Typically it will have Flash installed properly there. If it’s the same situation, then uninstall Flash and reinstall it. That should work for you. Thanks again for your extensive question, I hope I’ve answered everything for you. This reply was almost as much as a blog post! Keep a look out for the training coming up soon on how to set up Channels and also how to set up your camera properly, and I’ll also be letting you know when Quick ScreenCast Profits is available again. Yes, it seems there are a number of people with an issue around Monetization on their Channels. Firstly, do you have a video added to your Channel? You need at least 1 video in order to be able to Monetize. If this is the case, upload a video and you should have it. If not, let me know what your Channel URL is and I can investigate.